Proudly tricking children into learning since 2003. 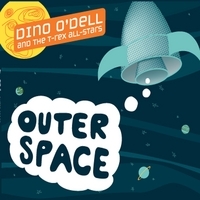 Whether he's counting monsters, fixing spaceships or swimming in peanut butter, Dino's interactive songs and tall tales engage curiousity, inspire laughter and stir the imagination. Before 2003, Dino was an elementary and preschool music and drama teacher by day and a folk-rock and reggae musician by night. Now in his tenth year as a family entertainer, his live shows and studio recordings reflect his years olf experience as both an educator and a performer; Dino is a master at tricking kids into learning. We learn best when we are engaged and we are engaged best when the medium is interactive. Whether it's a counting song, fill-in-the-blank lyric writing or a sing-a-long, Dino's stories and music tap into our innate desire to comprehend, communicate and connect.